The salon and barber industry is transforming into an online business module. So, having a website becomes a must for all those playing in this segment. There are a number of ways to create a website but the world relies on WordPress platform and WordPress themes. So, we’ve listed 5+ Barber Shop WordPress Themes for you. Using these themes, you’ll simply have to drag and drop your media files, logo and texts. Maybe you’ll need a few more clicks to add more functionalities like SEO optimization, social icons and more. But a specific barber shop WordPress theme makes sure that website creating process becomes a matter of minutes. So, now start converting your site visitors into regular customers. And sell your membership plans. Showcase the hair cutting tools, multiple trimming methods, barber equipment in the gallery section and the various barber activities performed in the video section of the website. These templates are designed dedicatedly for hair salons, barbers, hairdressers, hair stylists, spa owners, beauticians, beauty parlors and tonsorial artists. Now delve into these 5+ barber shop WordPress themes and select the best for you. 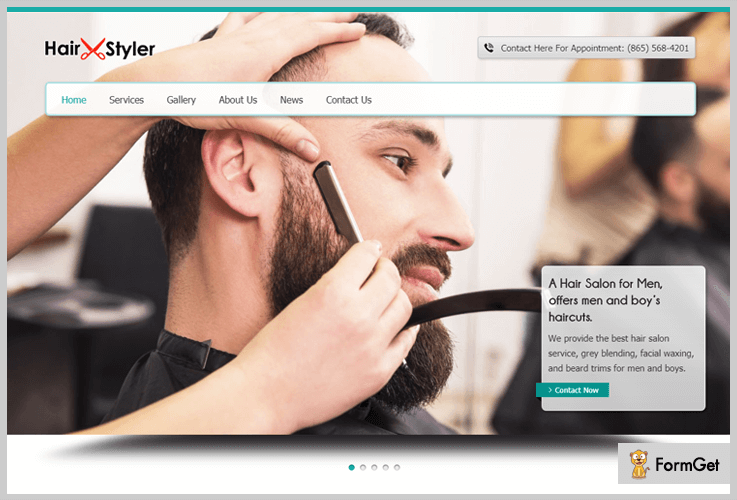 Hair Styler is a barber shop WordPress theme. The blog section of the template let you show occasional offers with various terms and conditions. this will boost your sale and also appeal new customers. The hair salons, hairdressers, and barbers can take full advantage of this add-on. The Hair Styler WordPress theme will cost $79 only. The theme has an appealing slider with text description to your engage visitors. This theme has a button embedded in the header to display the contact form. Here visitors can locate your geolocation with the help of Google map of the theme. Its inbuilt contact form lets your customer schedule appointments any time. 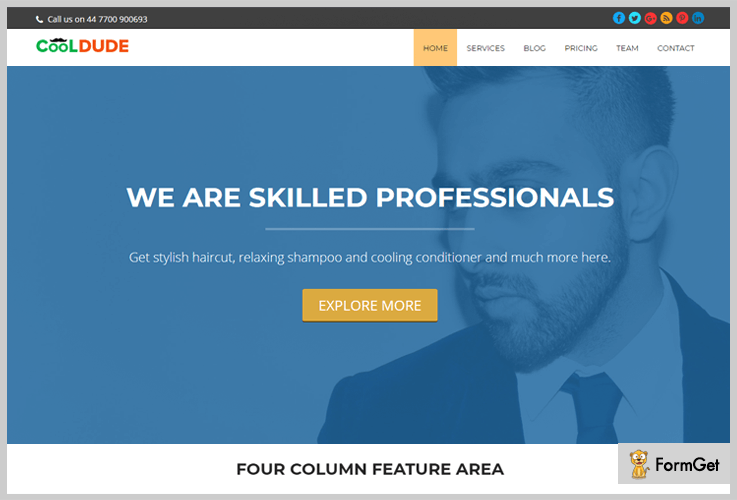 CoolDude is a popular barbershop WordPress theme. You can easily convert your salon venture into an online business platform. This theme will provide a lot of advanced features like support for bootstrap, sticky menu, prompt support and more. It has a one-page layout which provides a clutter-free browsing experience to the users. In addition, you can use the pricing section of this template to sell your membership plans. The CoolDude WordPress theme has an affordable price of $79 only. Extremely elegant masonry hexastyle gallery section. The theme has a parallax scrolling effect. The theme has a section available for hairstyling mock-up videos to impress your clients. Hairstylists profile section to display your work experts. 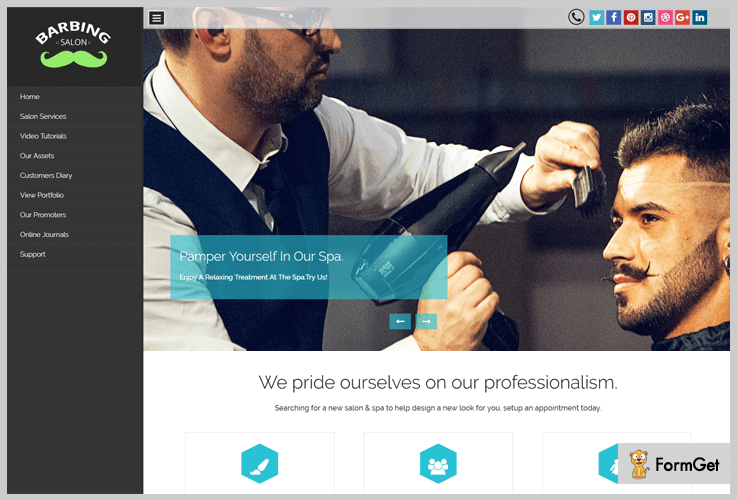 Barbing Salon is an elegant barbershop WordPress template. It is a stylish theme to using which you can promote your salon products & services. This theme has a one-page layout to focus solely on a single product at a time without other distractions. The Barbing Salon WordPress theme has a developer license of $79 with 24*7 support. The theme has a beautifully designed adjustable menu section. This template avails a client/sponsor area to display your business clients. It presents your salon equipment in a stunning circular disk portfolio section. The teme’s blog section is provided for your expert tips and tricks. 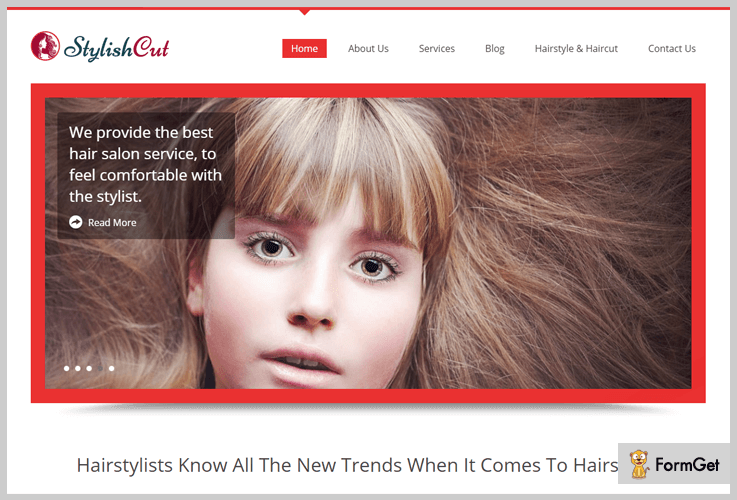 StylishCut is a hair stylist WordPress theme. This theme has classy and eye-soothing fonts. It is a quick and easy-to-use theme. With the use of this addon, you can easily flaunt your hair care services such as hair style, hair coloring etc. The StylishCut WordPress theme has a pricing plan of $79 for single site lifetime usage. This theme provides Ken Burns slider with advanced animated impact. The homepage contains 3 column feature section for your business services. This template consists of an inbuilt contact form for your customer queries. 100% fluid layout with a multicolor scheme. Gommero WordPress theme can be used to create any kind of business website. It is so simple and easy to use, so you can use this theme to create a website for the barbershop. There is a bunch of customization options available in the theme such as you can change the logo, texts, and background easily. 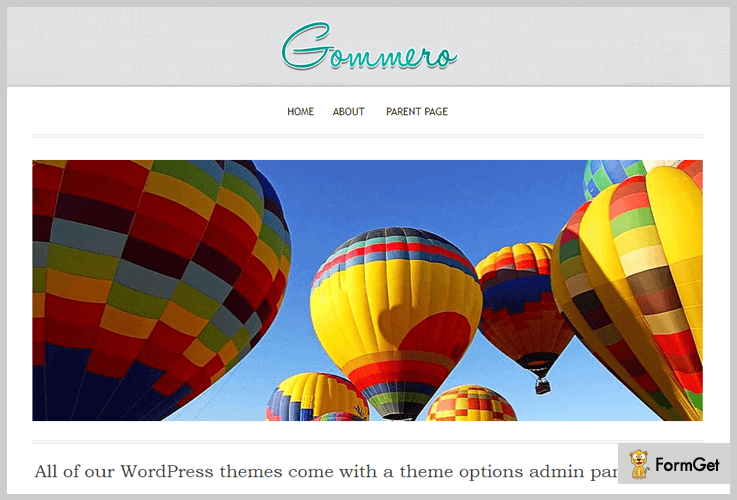 The Gommero WordPress theme is available for free of cost. 3 column featured area with mouse hover effects. 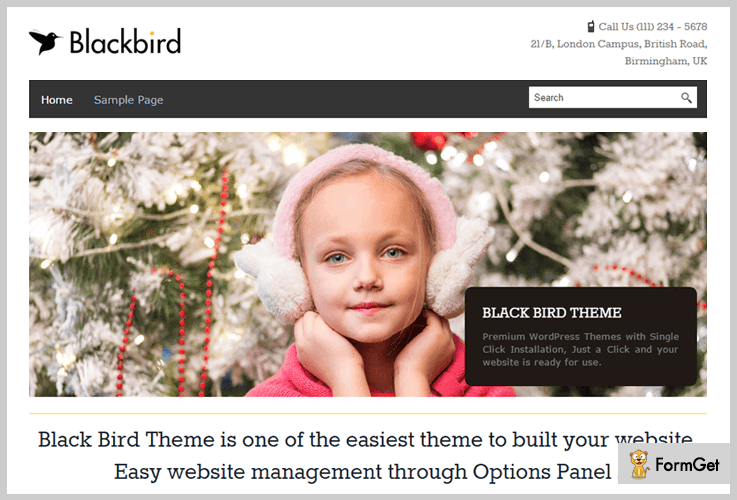 BlackBird is the best choice if you are a beginner and do not want to invest in premium WordPress themes. This theme keeps on promising you a clean and sorted layout, handful but all the essential features and responsiveness to the maximum extent. Free themes are hard to lay trust on but this one can change your mind. You won’t find it bloated with features like animations, a lot of videos etc. It has a sweet and simple layout with a blog section, contact page, and easy customization options and more. One click installation will install all the dummy content on the website. And this is how this can be the easiest theme to work with. It’s free to download from WordPress depositary. This was all from our side on the 5+ Barber Shop WordPress Themes which are both free and paid. We hope that you must have found a perfect theme for your barber shop by now. If you have got some better options then do comment and let us know.